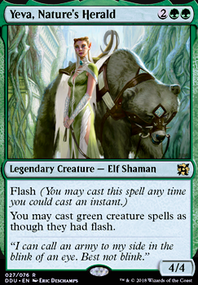 Can ice floe target two creatures? Can Deserts ability be used multiple times if made untapped? (1), Tap: Untap target land. Deserted Temple , Scorched Ruins Ugin, the Ineffable and Metalworker . I definitely understand hanging on to pet cards ( Head Games is one of mine). 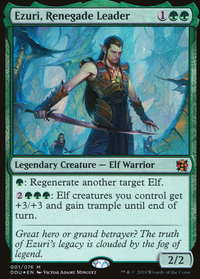 I've actually never run no-max-hand-size in my Chainer deck, but my meta isn't cutthroat and doesn't exhibit much 'yard exile (yet?) 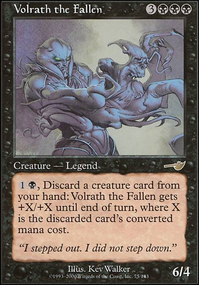 so I just use my normal discard most times to pitch something I want to reanimate. Otherwise it's almost draw-land-go. For frequent bits of lifegain I have several sources, but one I'd considered recently was Polluted Bonds . 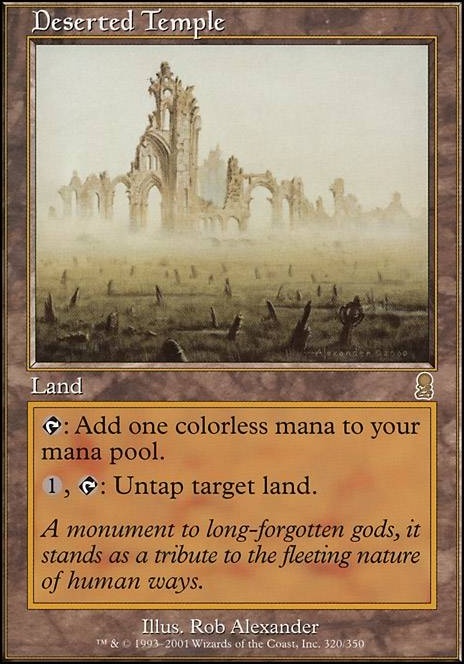 If you're going to include an infinite mana piece to go with Rings , you might consider Deserted Temple to go with any of your ritual lands instead of Basalt Monolith (which could only be turned to by Bog Initiate ). 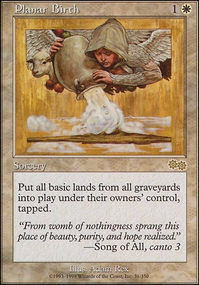 It's not a budget card, but even without Rings it nearly doubles the ritual lands and allows double usages of some of your other utility lands. 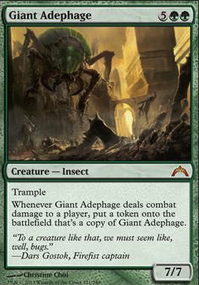 Infinite mana may not be necessary in your deck with all the boosters and such — I've never needed infinite mana to loop Gary or Koko enough to kill the table whenever I've used them. 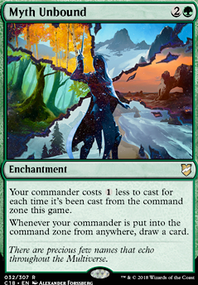 I do have infinite mana capabilities in my current deck since it needs that much mana for some versions of its loops that aren't self-sustaining. 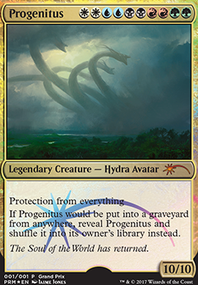 Edit: I don't think there are any other infinites with Rings currently in your deck, though infinite mana would enable some other infinite or just broken stuff.